The world-famous FAME Records– based in the fabled music mecca of Muscle Shoals, Alabama has signed a distribution agreement with EMI Music Marketing in the United States. Under the terms of the deal, EMI will distribute new FAME Records product along with rare and vintage Southern soul and rhythm-and-blues recordings from the treasured FAME vaults. "Some of these old masters have never been released at all, and only a select few of them have ever been released on CD," added Rodney Hall, who has helped document and preserve the company's rich, one-of-a-kind musical archives. "It's really the last great soul catalog to come out on CD..."
The owner of the town's bus depot, James Joiner, had started a publishing company called Tune in 1957, and had been able to place one of his songs up in Nashville. When A Fallen Star was covered by artists like Ferlin Husky and Jimmy 'C' Newman, it broke into the Country Hot 100 that summer. Tom Stafford wasted no time, and talked his father into letting him use the vacant office above the drugstore as a small studio to record demos. 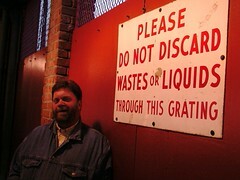 This beat the balcony of the movies by far, and soon became just about the coolest place in the whole South. Rick Hall had come up dirt poor in the hill country of Alabama and, after losing both his wife and his father to tragic accidents inside of a two week period in 1957, he "had no desire to be anything but a bum", and hit the bottle pretty hard. He had been playing the 'fraternity circuit' in a band called The Country Pals, and was basically living in his car. He became friends around this time with Billy Sherrill, the piano player from The Rhythm Swingsters, a pop combo that was working the same crowd as they were. 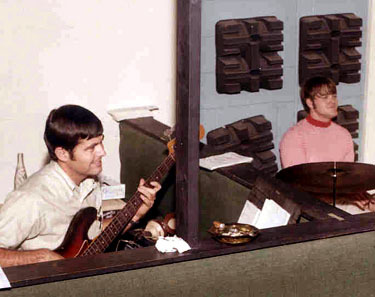 Before long they had formed their own group, The Fairlanes, and began writing songs together (that's Rick on bass and Billy on Sax in the photo above). 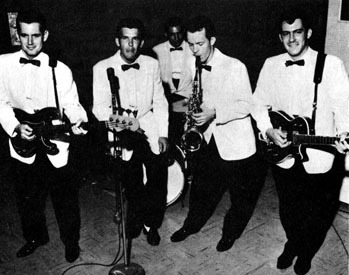 It seemed inevitable that Rick and Billy would hook up with Tom Stafford in his roost over the drugstore, and in 1958 the three of them formed Florence Alabama Music Enterprises, better known as FAME. When a scrawny kid named Wallace D. Pennington showed up later that year, it changed everything. 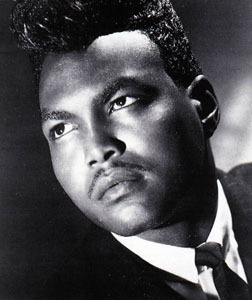 Dan Penn, as he called himself, was a sixteen year old force of nature who had made a name for himself belting out R&B as the leader of his band, The Mark Vs. It was his presence that changed the way the guys over the store looked at things, and introduced them to the incredible wealth of black music that was all around them. He began singing part-time with The Fairlanes as well, and the very idea of performing 'Country' became ancient history for all of them. 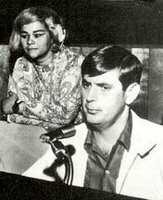 By the spring of 1960, Rick Hall was getting restless and questioned the committment of his partners, who seemed content to sit around and dream. He wanted to charge ahead and 'get things done', an attitude that ended up getting him 'pushed out' of the scene, with nothing left to show for it but the rights to use the FAME acronym. Arthur Alexander, a local guy that Tom knew from the theater, began hanging around over the store at this point. It was obvious that he had talent, but Tom wasn't quite sure what to do with it (Billy Sherill had already taken off for Nashville by then). He had recorded a couple of primitive sides on him, but when Arthur came upstairs with a song he had written that Tom just knew could be a hit, he 'put his tail between his legs' and came looking for Rick Hall. Rick, meanwhile, had borrowed some money and set up a makeshift recording studio in an old warehouse just outside of town. He agreed with Stafford on the 'hit-potential' of Arthur's tune, and they cut You Better Move On in the Summer of 1961 using members of Penn's Mark Vs as the back-up band. Once Hall was happy with it, he took the masters and shopped them around to all the major labels that had offices in Nashville. They told him to get lost. He next tried the radio sations, and the music director at WMAK, Noel Ball, sent a copy out to Randy Wood who had by then taken his Dot Records operation out to the west coast. 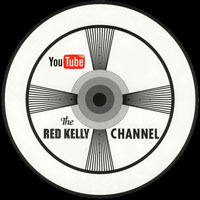 Randy loved it, and worked out a percentage deal with them, before releasing it in early 1962. The record just took off, climbing to #24 pop, on its way to becoming the smash hit they all knew it would be. When it came time to get paid, however, Rick found out that the $10,000 he made off the initial release of the record was all he was gonna get. Apparently, Stafford had signed away the rights to You Better Move On, along with all future claims to Alexander, in a deal that reportedly included a 'case of codeine'. 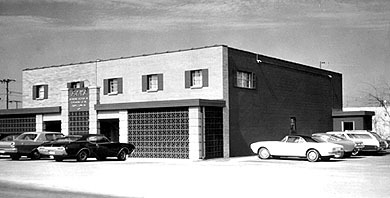 Hall forged on, and used the money to build a brand new studio at 603 E. Avalon Avenue in Muscle Shoals (where it remains in operation to this day). While it was still under construction, Dan Penn (who had fled the scene for the Texas Bible Belt for a while) came to see Rick, and agreed to come and write material for the new studio for $25 a week. Penn's band (now re-christened The Pallbearers) stayed on as the first incarnation of the 'Fame Rhythm Section', but nothing much was happening. It took almost a year before Rick inked a deal with Atlanta music legend Bill Lowery to record his artists at FAME. 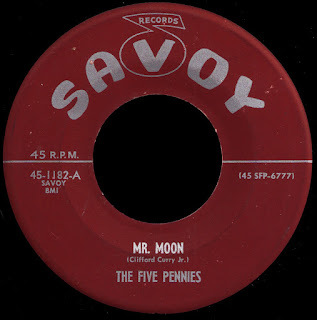 In addition to working with pop guys like Joe South and Tommy Roe, the studio came up with a top ten R&B hit for The Tams, What Kind Of Fool, in early 1964. The studio had become the new cool place to hang out, with Penn and his sidekicks Donnie Fritts and Spooner Oldham coming over from Florence to stay up all night and work on ideas. 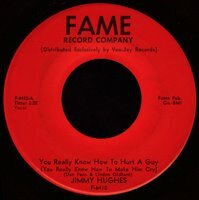 Back in '62, around the time You Better Move On started to hit, Hall had recorded some demos with a cousin of (then unknown) Percy Sledge named Jimmy Hughes at the old warehouse studio. 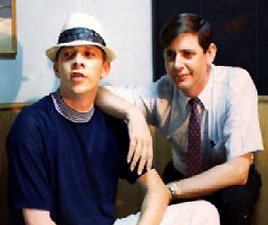 Hughes had been singing Gospel with a local quartet called The Singing Clouds and, after Alexander made it big, he figured he'd try his hand at 'crossing over'. Hall had been able to place one of those demos (I'm Qualified) with Philadelphia label Guyden in 1963, but the record hadn't done much. He had taken another song Hughes had recorded at those first sessions and overdubbed some background vocals on it, but was unable to find a company that was interested in releasing it. 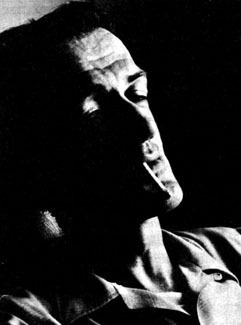 It was Bill Lowery that convinced him to press it himself, and Steal Away would become the first release on the new FAME label in the Spring of 1964. 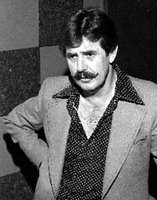 Rick Hall piled a thousand copies of the record, a case of vodka, and Dan Penn into an old station wagon and set out to promote the single to any dee-jay who was willing to listen. They traveled from Memphis to Montgomery, Nashville to New Orleans and back again in the space of about two weeks. It paid off. 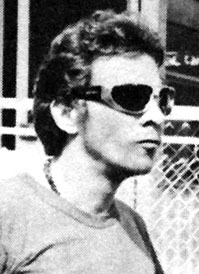 By the time they got back, Steal Away was a bona-fide hit, and Lowery was able to work out a national distribution deal with Chicago's Vee-Jay Records (who would bring Joe Simon down there to record his #13 hit Let's Do It Over the following year). Steal Away would spend three months on the charts, breaking into the Billboard top 20 that Summer. FAME had hit the big time. Unfortunately, that 'fame' didn't translate into higher pay for the studio musicians at FAME, who in Rick Hall's opinion, were lucky to be getting the union scale he was paying them. As out of town artists came in, local guys like Norbert Putnam and David Briggs saw 'how the other half lived', so to speak, and soon moved on to Nashville. 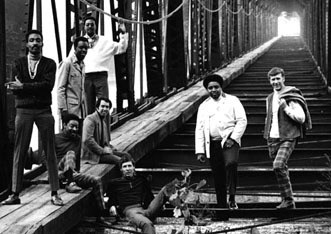 Rick Hall, in typically arrogant fashion, shrugged it off, reportedly saying "Most of these kids couldn't carry a tune in a bucket..."
The 'second rhythm section' is the one that is, justifiably, the most well known. 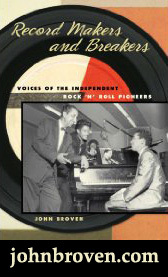 Although it took some time to evolve, it was made up primarily of local guitarist Jimmy Johnson (who had actually been working at FAME already as a 'Guy Friday'), Roger Hawkins (the drummer from The Del Ray's, Johnson's 'fraternity circuit' band), David Hood on bass and Spooner Oldham on keyboards. Junior Lowe and Duane Allman would contribute to this core group as well at one time or another. 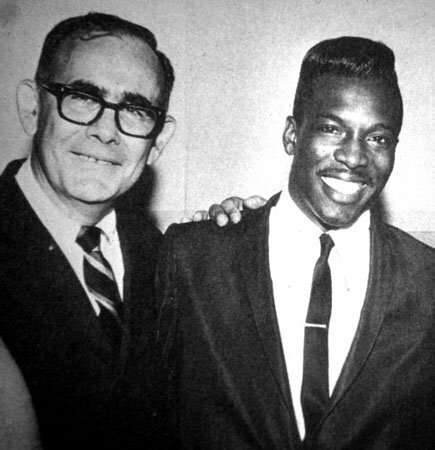 When Buddy Killen brought Joe Tex down there to record Hold What You've Got in late 1964, he took one look at this group of young kids, and decided to use Joe's band on the sessions instead. 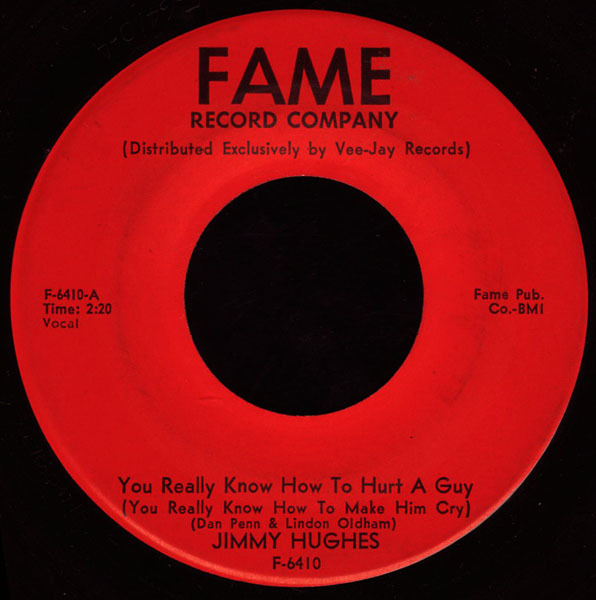 Although Rick continued to release records on guys like Jimmy Hughes and Arthur Conley on FAME, it was the studio's work for other labels that cemented its place in history. 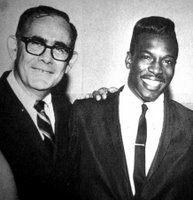 When Jerry Wexler wore out his welcome at Stax, he brought Wilson Pickett down to Muscle Shoals in early 1966. That's the 'second section' (along with musicians Wexler brought down from Memphis) gettin' down on unbelievable songs like Land of 1000 Dances and Mustang Sally. Atlantic soon signed Aretha Franklin away from Columbia, and brought her down to record at FAME in January of 1967. They had completed I Never Loved A Man (The Way I Love You) and half of Do Right Woman (arguably the best things she's ever recorded) before a booze fueled argument between Aretha's husband, Rick Hall and Wexler got out of hand, resulting in Atlantic vowing never to return (although Pickett would ignore that vow, as probably only he could). Leonard Chess was more than happy to take Wexler's place and began sending female artists like Irma Thomas, Laura Lee and Etta James down there to record. James' blistering Tell Mama album showcases just how incredibly tight the studio band had become by 1967. They were untouchable, and they knew it. Dan Penn had walked away from FAME the year before, as he and Rick Hall just couldn't get along. When Spooner Oldham joined him in Memphis in 1967, Barry Beckett took over on keyboards, and quickly became an integral part of the 'sound'. By early 1969 (just after completing work on Solomon Burke's Proud Mary album for Bell), most of the 'second section' would walk away as well. They would form their own competing studio, Muscle Shoals Sound in nearby Sheffield and continue to crank out the hits (but that is a whole other story...). Once again, Hall didn't 'bat an eye', and built his third rhythm section, The Fame Gang, around guitarist Junior Lowe, who had stayed behind. Although often overlooked because of the monumental works the preceding section had created, I think these guys are just da bomb! Rick revitalized his FAME label, and began recording some of the best music the studio ever produced. Husband and wife Clarence Carter and Candi Staton became mainstays at the studio, and the label recorded some of the most sought after gems of southern soul on artists like Roscoe Robinson, George Jackson, and James Govan. Willie Hightower is another of those artists. 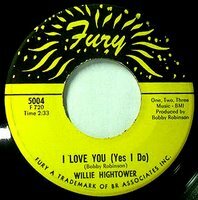 He had come up singing Gospel in his home town of Gadsden, Alabama but had switched to R&B and was performing locally by the late fifties. 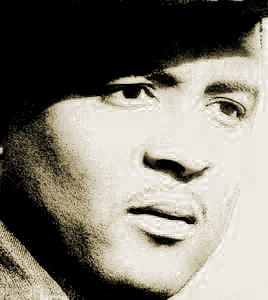 He hooked up with a local dee-jay named Shelly Stewart who would become his manager and secure him a recording contract with Bobby Robinson up in Harlem. There he appeared at The Apollo, and recorded two singles for Bobby's Enjoy and Fury labels in 1965 and '66. Robinson sold Willie's contract to Capitol, but continued to produce him for the label. They would release an album made up primarily of his earlier Fury sides, and a couple of singles were released from the album (one of those singles is now up on The A Side). 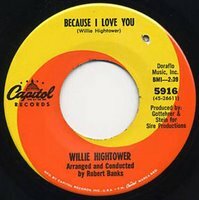 This was around the same time that Capitol began really hitting its stride with chartbusters by both the Beatles and the Beach Boys, and Hightower's releases were strictly a low priority. FAME had signed a distribution deal with Capitol during this period, and they figured it would be a good idea to send Willie down there to record. It was. Today's absolutely fantastic selection is the B side of the equally great Walk A Mile In My Shoes, a cover of the Joe South hit that Rick Hall felt 'cried out' for a funkier treatment. I can't say enough about how much I love this man's voice (Barney Hoskyns has described it as sounding like "Sam Cooke after a night on the tiles"). 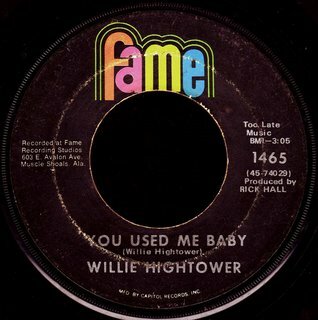 Written by Willie as well, this great record shows just how good he, and the Fame Gang were. His other two FAME singles are smokin' two-siders as well, and have all recently been made available on an Honest Jons UK release. Buy it. We can only hope and pray that EMI treats the FAME catalogue with the care and respect it deserves, and look forward to quality re-issues of some of the greatest soul music ever recorded. How could I write a story about Muscle Shoals and leave out Percy Sledge and Quin Ivy, Eddie Hinton, Quinton Claunch, James Carr... I know. It's just SUCH a deep subject, that I decided to give kind of an overview first (which already is like twice the size of the average post), before diving a little deeper in the days to come... it's kind of like a 'fame fest, or something. the "low down" from many of the names you have mentioned. Thanks Red for your dedication. Believe me, I've still got plenty to learn, my brother! I wasn't aware of Younger's book, but rest assured I'll be looking for a copy now. That is less than the Jewel Bass record was. Hope this helps...I know you will enjoy the read.